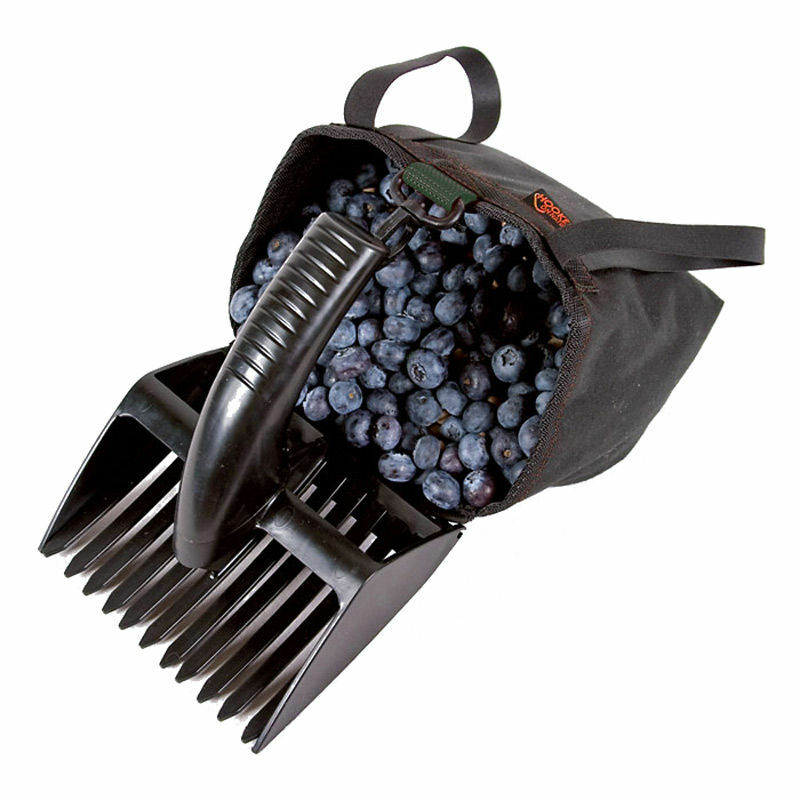 Aimed at nature-lovers, the Hooked on Nature Berry Picker offers a light, compact alternative to standard berry pickers, while retaining a large compartment for storing your picked fruit. Its unique foldaway design allows the entire Berry Picker to collapse in on itself, making it easy to store. A tough plastic clip means it is also possible to attach the berry picker to your rucksack or belt for easy access. 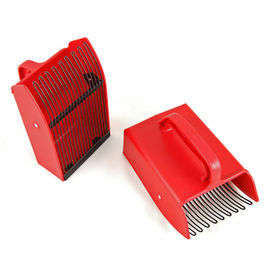 Formed of a fabric storage pouch with a plastic picking comb, the berry picker is quickly assembled by unfolding it, sliding the handle into position and simply connecting the two parts by way of a plastic clip. The plastic parts are dishwasher-proof, while the bag itself can be hand-washed. This Berry Picker has a storage capacity of 1.2 litres, which is considerably more than conventional berry pickers found on the market. We've also been assured that this Berry Picker has been thoroughly tested by experienced fruit pickers! As a company, Hooked on Nature's goal has always been to develop functional products of the highest quality, all the while striving to keep their impact on the environment as low as possible. Hooked on Nature Berry Picker is rated 5/5 based on 6 customer reviews. The tines are a bit thinner than I expected, but the flexibility of them is a trade-off, since it does help accommodate the fruit without damaging them. The bag is small enough to toss easily into your pack and putting it together and breaking it back down again is a snap. Really happy with it, and happy with the delivery time. Thanks Woodlore. Nice little object, useful and efficient, practical, washable and light but resistant. Thanks RM. Easy to order and easy to find info about the stock of that rare item in France. Everything was fine, quick and correct. I adore Bilberry pie but picking them by hand, especially when surrounded by flies and midges is a time consuming task. Whilst mountain biking in France I saw a wooden tool similar to this being used and got my dad to make a couple. They were successful but a bit heavy and unwieldy for carrying around. I saw this on the Woodlore website whilst looking for something else and thought bingo. This is lightweight and well thought out. The idea of the small bag for collection prior to transferring the swag to another larger bag is great. The clip is dual function: 1) To attach it to your belt or knapsack and 2) to clip to the handle thus hold the small bag in the best position for collection. Obviously you do not capture each and every berry in the small bag but short of taking the Hoover I can't think of a better tool for this task. Unfortunately you do not get all berries and no leaves/stalks as shown in the photo but who cares. Buy one now. Great product and is as advertised! It's very compact and easy to carry for those days of picking wild berries. The teeth are small enough for the wild berry types. The seller delivered on time and package arrived in great shape. I'd order again if we have another need. Thank you! Very well designed, but slightly weak spikes of the comb. Good for people who pick up berries only for a few meals.